If you have never had a CACI treatment before or are not sure which treatment would be most suited to your requirement, please email us or call Sue on 01524 735240. An initial course of 10 treatments is recommended for the best results, for which a 10% discount will apply, followed by a monthly maintenance treatment. 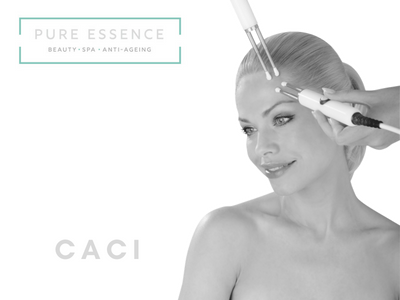 CACI’s signature non-surgical facial toning is an advanced non-invasive facial, with twenty years medical research behind it. Micro-current impulses with LED light therapy will lift and tone the 32 muscles in your face. Think of it as a gym workout for your facial muscles, whilst improving skin elasticity and reducing the appearance of fine lines and wrinkles. This gives a more youthful, fresh appearance and glow. This facial combines our signature Non-Surgical facial toning with the skin rejuvenation benefits of both our Ultra and Ultimate treatments. 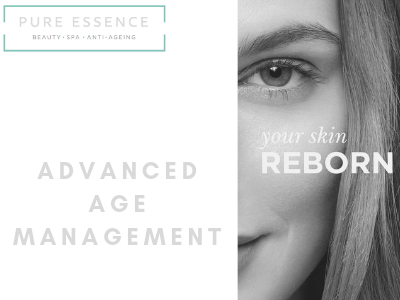 It also introduces our breakthrough S.P.E.D Microcurrent LED technology which uses light therapy to enhance results providing the very best in CACI Non-Surgical Facial Toning. Ultrasonic peeling and orbital microdermabrasion are used to exfoliate leaving a brighter, smoother complexion. Microcurrent impulses combined with LED light therapy will then lift and tone the face and neck, followed by CACI’s unique Wrinkle Comb to target fine lines and wrinkles. This treatment improves the appearance of sagging jowls by targeting muscle laxity around the jawline. This facial uses CACI’s Quad Probes, which have been specifically developed to lift, firm and redefine facial contours around the jawline. This Ultimate eye treatment uses micro current with LED light therapy to lift and firm muscles with wrinkle combing to reduce lines & hydro mask to reduce puffiness & dark circles..
Get those lips looking juicy and luscious, using wrinkle comb with LED light therapy to instantly plump the lips and soften lines, giving you the perfect party pout. Collagen stimulation therapy is a cutting edge treatment that harnesses your body’s natural powers of healing to tighten skin, address visible signs of ageing, reduce scarring, reduce pigmentation, reduce redness associated with broken capillaries and plump the skin. Also know as micro needling or derma roller this treatment stimulates your own natural production of collagen and elastin by mimicking a trauma on the skin, this then makes the cells go into repair mode and floods the area with growth factors that are responsible for new healthy collagen and elastin. Dermaplaning removes 21 days worth of dead skin cells, it will remove peach fuzz / vellus hair, it will give the skin a luminous glow & dewy smoother texture. It also allows any products you apply after to penetrate deeper. This means that makeup can be applied with far more ease and precision, and overall will give a flawless finish. Microdermabrasion works on improving skin texture for a healthier complexion, it removes your skins outermost layers of dead cells & stimulates collagen production, it promotes the growth of healthy new cells so great for acne, spots & blemishes, combined with the benefits of LED light it will leave your skin feeling radiant, energised and rejuvenated. We believe that skin has a life and that vitamin A is the "oxygen" it needs to look beautiful and healthy for life. Every client starts their journey with a skin analysis; we really believe a good skin analysis is the cornerstone of a successful skincare programme. Looking at the skin from the inside & outside approach means we can truly understand how and why the skin is how it is and of course how it could be. In your skin analysis we will conduct a skin consultation and analysis so we can put together a treatment plan that will help you achieve your desired results. 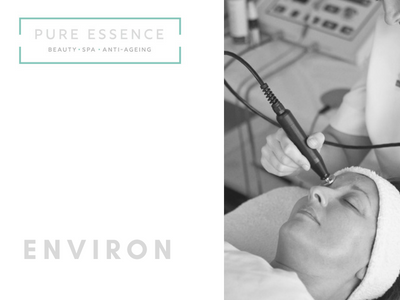 This treatment uses the Environ DF machine which combines Iontophoresis and Soundwaves to push ingredients right down into the dermis of the skin, by doing this we can really target the skin to repair and rejuvenate. A serum packed with nourishing vitamins and antioxidants is used and by penetrating with these super active ingredients we can see a measurable difference in the skin. This treatment is the equivalent to 77 hours of hands on massage. Perfect for clients concerned with ageing, uneven skin tone, dull or sensitive skins. This treatment will boost collagen, elastin, smooth pigmentation, calm and strengthen the skin. Your skin will look plump, radiant and nourished and will see measurable differences after just one treatment. This is the ultimate anti ageing facial for clients looking to reduce the signs of ageing. Using a combination of the DF machine and LED phototherapy, this treatment really stimulates the collagen and elastin fibres to reveal a more youthful, lifted, tighter, smoother appearance. As we age the skin starts to lose collagen and elastin making the skin wrinkle, sag and appear duller. 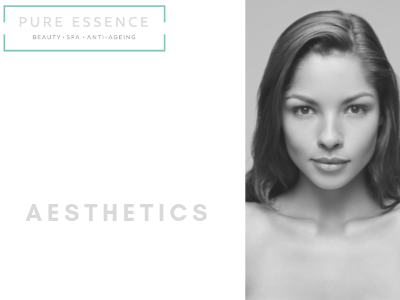 This treatment uses Iontophoresis and Sonophoresis with a peptide enriched serum to boost collagen and elastin fibres. We then use red light LED phototherapy to stimulate the cells further leaving the skin looking rejuvenated, tighter, firmer, lifted and wrinkles reduced. Perfect for clients wanting a more youthful appearance. The results truly are outstanding. Feeling a little dry or dehydrated? This intensive treatment uses soundwaves to push hylauronic acid into the deeper layers of the skin leaving it feeling instantly hydrated, plumped and glowing. Hylauronic acid is found naturally in the skin and is known as the skin drink as it holds up to 1000 x its own weight in water. This treatment is a firm favourite with celebrities and is perfect before a big event. Looking for a peel with no down time? The revolutionary approach to peeling achieves incredible results without damaging the skin. Using lactic to reduce the skins PH and trigger the release of growth factors, which creates tighter, smoother skin. It destroys bacteria that causes acne and breakouts, boosts natural hydration, and removes the build up of dead skin cells. This peel is ideal for concerns with lines and wrinkles, rough/textural skin, breakouts and acne, sundamage and Rosacea. It really is the perfect peel. Frown lines starting to appear? This highly effective treatment uses a special pent-peptide serum to target frown lines and achieve dramatic results. The unique combination of active ingredients are driven deep into the skin to soften lines and reduce muscle tension in the forehead helping to prevent new lines from forming. These peptides target the same chemical complexes of injectables and help to relax the muscle therefore relaxing the frown lines – a friendly alternative to injectables. 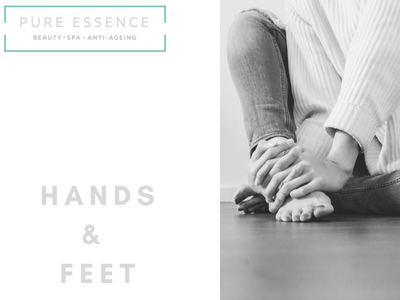 For visibly younger looking hands... We chose nature’s finest actives to formulate a clinically proven, facial-quality, skin rejuvenating system worthy of the name Manicure by OPI. The results are nothing short of sensational – softer, smoother, younger looking hands that improve with continued use! Combing the use of Alpine herbs mixed with essential oils. Sixtus products provide help for acute problems as well as offer solutions for long-standing skin and nail problems. Each product contains anti fungal and anti bacterial ingredients. 14 day wear, resilient shine, zero dry time, and chip free. This revolutionary product brought to us by CND is like no other gel polish on the market. It is the original power polish, no filing on the natural nail, no buffing or soaking in bowls of acetone to remove means no damage. OPI gel polishes are generally slightly tougher than CND Shellac, providing 14-21 days wear, but some require a very light buffing of the natural nails just to remove the shine which helps the product to adhere to the nail plate. Just like CND Shellac, they cause no damage when applied, looked after and removed correctly. Some of our clients find that one brand lasts longer for them than another. Applied using a liquid and powder to extend the nail. This system is good for those that have the desired nail length. Required every 2-3 weeks to fill the exposed gap by the cuticle and correct the length and shape of the nail. 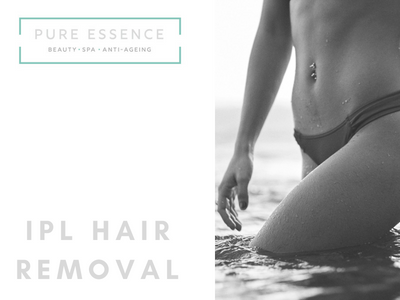 No more waxing or shaving – the latest technology in hair removal is now available. Ellipse is an intense pulse light (IPL) treatment that is virtually pain free and completely safe. 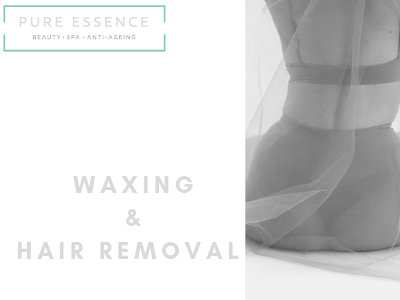 All areas of the face and body can be treated for women and men from facial hair removal to full body removal with excellent results at affordable prices. We offer discounts for multiple sessions when paid in advance. Save 5% on courses of 3, 20% on courses of 6 and 25% on courses of 9 or more. We can offer additional savings if you are interested in booking courses for two or more areas. 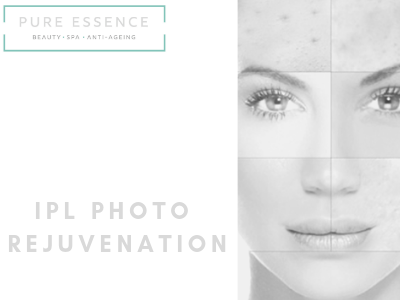 Photo rejuvenation can treat a wide variety of skin problems. It can be used to remove red spots or diffuse redness and can help with acne or rosacea. IPLTM treatments can also help to smooth uneven skin texture, close large pores, and eliminate wrinkles by stimulating collagen growth. A unique and revolutionary seven-step high definition process that creates fabulous defined eyebrows and dramatically enhances your facial features. *Patch test required 24 hours prior to tinting. Natural lash enhancement without lash extensions, last up to 6 weeks. *Patch test required. This method is also known as 1 to 1. Classic lashes are perfect for clients who already have a lot of lashes, but want to add more length. Also known simply as volume lashes, we’re going for volume rather than length by applying two to eight extensions onto one single natural eyelash, known as the feathering technique. We use only super fine extensions, typically 0.05mm to 0.07mm diameter that won’t damage your natural lashes. The final look is a soft, fluffy and lush lash look that will transform your entire appearance. Russian eyelash extensions are easy to maintain, with the weight distributed evenly so you barely notice them. 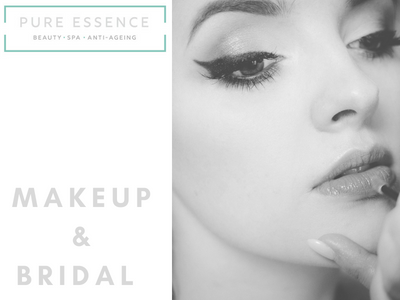 Here at Pure Essence we offer a full face make-up makeover. This service lasts one hour and can include cluster lashes or strip lashes. We use only the finest make-up brand Jane Iredale and can create a natural look to ultra glamour. Our skincare specialist will conduct an in-depth consultation with you to determine the current health of your skin, understand your concerns and determine what results you would like to achieve. 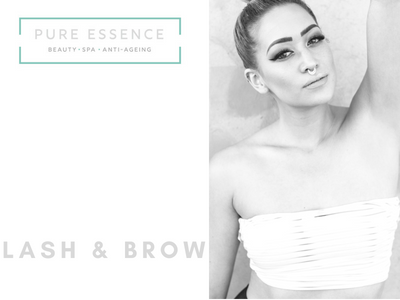 We will then create you a bespoke package tailored to your needs to help you create wedding ready flawless skin. Massage alone is wonderfully relaxing. Combine it with the benefits of essential oils and you’ll unlock benefits that transcend the combined power of the two. That’s aromatherapy massage; if you’ve never tried it you’re in for a treat. Our luxurious warm candle massage is an unique treatment utilising hand made candles made with superior skin nourishing ingredients. When lit the candles provide an intoxicating aroma and melt into a warm sumptuous massage oil. The warm oils with natural butters are drizzled over the skin and massaged with deep relaxing strokes to melt away tension and delicately nourish the skin. A holistic massage to the scalp, neck and face, beneficial for tension, fatigue and headaches. This natural therapy relieves ear blockages, sinus problems, headaches and ear pain through flying. The aim is to relax tense muscles, ease sore spots, improve circulation and mobility, and just make you feel good. Body wraps for weight loss, detox & cellulite. 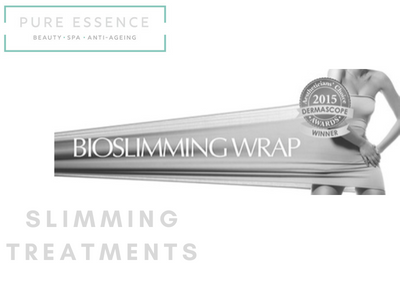 In clinical trials the Bioslimming Body Wrap has been shown to dramatically decrease the appearance of fat deposits and cellulite by 67% in less than 4 weeks. 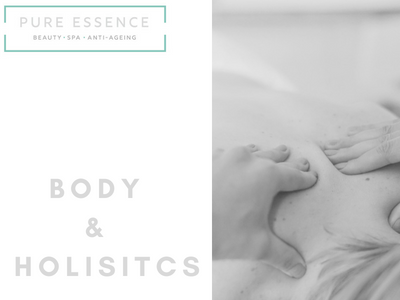 The massage helps in the fight against cellulite and fat as the massage helps to further break down the fatty deposits and stimulates the lymphatic system helping to remove toxins. Benefits of treatment include , reduction in appearance of cellulite and fat deposits, detoxes, slims, firms & tones, skin feels softer, reduction in appearance of varicose, thread & spider veins, reduction in fluid retention particularly lower legs, enhances weight loss, helps burns calories for two hours, the slimming & fat burning process continues to work for 12 hours following application. This painless, effortless process can successfully remove fat in problem areas, such as the stomach, thighs, buttocks, arms and legs. The wrap helps break down the fat cells in the body which are then easily excreted by the body. The wrap works by lipolysis revolutionary method to remove unwanted fat. Lipolysis offers pain-free slimming and breaks down inside the actual fat cells where triglycerides are changed to free fatty acid so they can be excreted in tissue fluid and further transported to the lymph vessels. The main ingredient is an active phospholipid solution, which is pre-blended with essential oils containing a cellulite blend. For the ultimate full body pamper, indulge yourself with the Hydra Thermal Body cocoon body treatment and discover your glow with the Ultimate Facial. Take time to unwind with a blissful massage and lastly, enjoy your choice of manicure or pedicure; the perfect finishing touch. 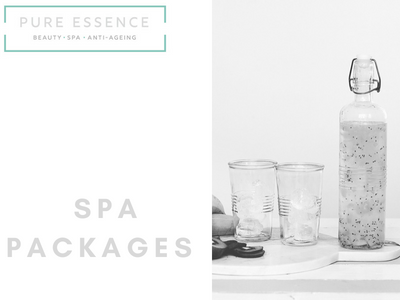 Treat yourself to new levels of chill with our re-energising full body exfoliation followed by our Signature Massage and Facial. Rather create your own Spa day? Email the spa team with details of your ideal spa day and we’ll get back in touch with you very soon. Why not buy a Spa Day Gift Voucher? Gift vouchers for our spa days make the ultimate gift. Group celebration packages are available from £45pp. If you are looking for a relaxing way to celebrate a pre-wedding get together, birthday or baby shower we can offer tailor made packages. Contact our dedicated team for more information about availability and prices. We love animals and care about their welfare, so we will never test on them. 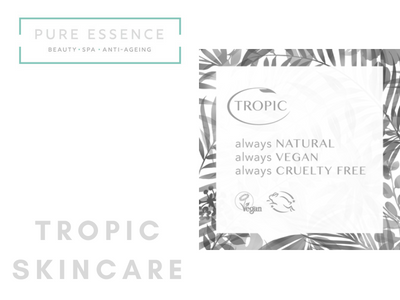 Cruelty Free and Vegan We believe that what you put on your skin should never be a mystery, therefore we list all of our ingredients Our products are designed using the richest, most nutritious premium natural ingredients to ensure they are effective on all skin types, even the most sensitive. A creamy gel facial to instantly hydrate and soothe irritated or dry skin. A spot-busting facial to control sebum levels and prevent breakouts. An intensely tightening, age-defying facial to firm and brighten your skin. We use cream and hot wax to give you the best possible and smoothest results. 2 or more treatments 10% off.